Hi there, I’m Tim. Welcome to the Uncertified Pilot. This is a regular blog about a regular guy dreaming the dream to become a certified pilot one day. 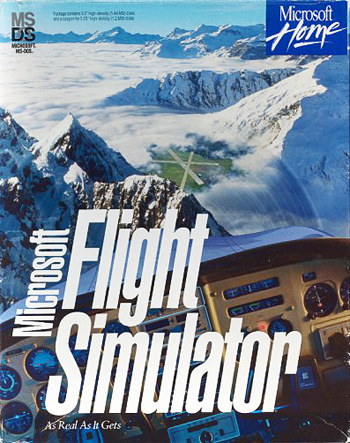 As a kid, I grew up with Microsoft Flight Simulator. I remember my dad buying Flight Simulator 5 when we were out shopping. I can still picture the front cover of the product box as it stood there on the shelve, luring us in. I spent years flying MFS at home together with my dad. Getting my hands on real aviation charts and trying to practice as many flights as realistically as I could. Since then, I’ve only flown a Cessna in real life a few times. Today I’m one of those guys wondering about what his life would have been if he hadn’t ditched his plans to become an airliner pilot in favor of going to university college. Perhaps I made the right decision, looking at how difficult it seems these days to find job security as an airline pilot. I also wasn’t sure whether I would enjoy spending that many days away from my family either – merely programming a Flight Director and monitoring a jet fly itself for hours on end. Yet, when I look up to the sky today I can still imagine myself being up there: flying my own little Cessna, being a knowledgeable instrument rated pilot, navigating from one airfield to the next. Although I don’t have the time nor the money to get certified in real life just yet, the Flight Simulator platform has greatly evolved since I last ran the software. There is Prepar3D and X-Plane 11 now. Flight simulation has gotten better and better. Additionally, the range and quality of third-party add-on software that is available today is even more thrilling. So, I bought myself topnotch hardware, installed flight simulator and with the latest add-ons, and re-created the most realistic flight simulator experience that I could afford. 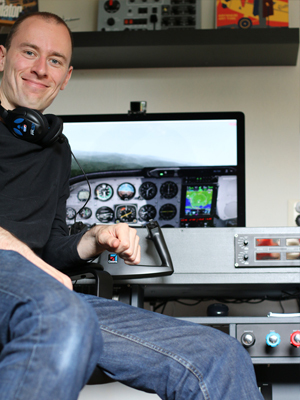 My aim: To use flight stimulator to get as close to an Instrument Rating as I possibly can. And to support my flight training, I study real-world flight training courses, and simulate and practice real-world flight procedures in flight simulator. And I stream my every flight to Twitch too to share my learning experiences with you or allow you to teach me to improve my flying during the live stream. On uncertifiedpilot.com I reflect on my training progress and share with you the training materials I found useful. I hope my project will be of value to at least some of you.